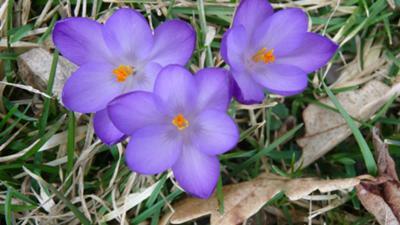 You know it's Spring when you see the crocus blooming. So pretty. Spring is definitely something to look forward to with all the pretty colors.